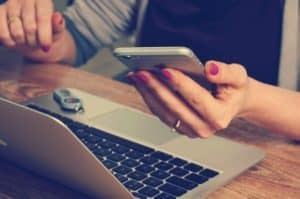 How the Fair Debt and Collection Practices Act Protects You from Debt Collectors | Cutler & Associates, LTD.
Debt collectors are among the most notorious professionals in any industry. While they may just be doing their job and trying to collect money owed, they can often go well beyond what is acceptable in this pursuit. Fortunately, there are laws in place to help protect consumers from debt collection practices that cross that line into harassment, or worse. Hours of Contact – Debt collectors are only permitted to call you between 8AM and 9PM in your local time zone. Calling the Workplace – If you tell a debt collector that they may not call you at your workplace, they must honor that request and stop calling you at your employer. Deceit & Misrepresentation – Debt collectors may not misrepresent themselves as attorneys or make other deceitful claims while trying to collect a debt. Making Threats – Threatening someone with legal action or arrest is prohibited. Abusive & Profane Language – Using abusive and/or profane language is not allowed. Contacting Third Parties – A debt collector may only call a third party (family members, neighbors, co-workers) to try to obtain your phone number or address. They can not say that it is for debt collection or provide any other information. Properly Identify Themselves – Debt collectors must properly identify themselves in every communication. Original Creditor – They must provide the name and address of the original creditor when asked. Right to Dispute – Collectors must let you know that you can dispute the debt in part or in full. Provide Verification – When asked, they must be able to provide a verification of the debt to show it is valid. Location of Lawsuit – In the event that the debt collector chooses to file a lawsuit, they must file it in the location where the contract was signed, or where the consumer lives. All of these prohibitions and requirements are set up to help ensure consumers are protected from excessive practices that debt collectors often take. While the laws are quite clear, debt collectors often violate them in their attempt to get payments. When this occurs, the FDCPA makes it clear that the consumer can sue the debt collection agency. It is possible to sue for damages including physical distress, emotional distress, lost wages, attorneys’ fees, and up to $1,000 in statutory damages. This can help actually eliminate the debt that is owed, and have the debt collection company paying you money for their violations of the law. If you feel that a debt collector has violated the prohibitions listed in the FDCPA or failed to meet their obligations, we can help you file a lawsuit against them. Our team will be happy to meet with you and discuss your exact situation so we can help to craft the best legal arguments possible. Please contact us to schedule a consultation and see if you have a good legal case.